DPCI trainers provide custom, hands-on Drupal instruction in content creation, administration and maintenance tasks at the beginning of the User Acceptance Testing phase, and then will continue to provide mentoring and support during testing and content remediation. Our goal is to help your team to gain proficiency with the new system while ensuring that the Website is ready for launch. DPCI's technical support staff will provide your company with the best support to dramatically improve your project success rate. After site launch, we transition to a supportive role and act as an ongoing technology partner for our customers where we are proactive in our responsiveness to both on-the-fly issues and with new enhancement requests. 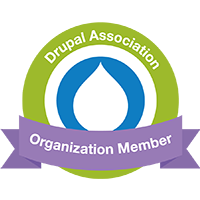 Our Drupal subject matter experts are available to answer questions, provide refresher training, modify or enhance functionality, and help you solve your problems quickly.